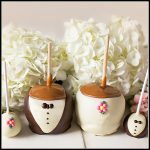 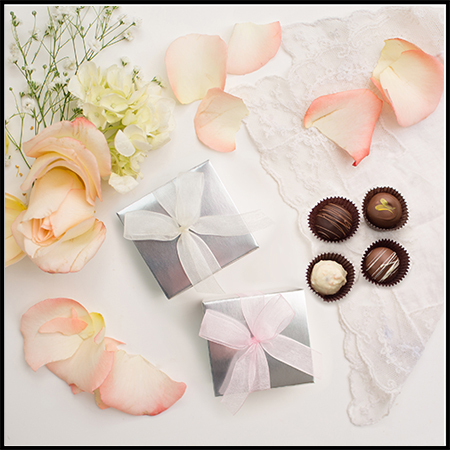 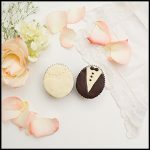 Our four piece boxes are a taste of wedded bliss! 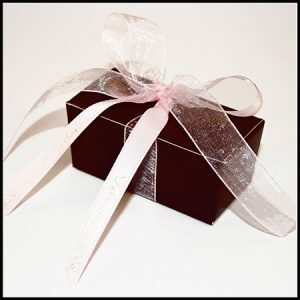 Choose from our selection of hand rolled truffles or traditional chocolates elegantly presented in a mini ballotin box (choice of colors–see gallery image: tiffany blue, silver, gold, kraft, black, pistachio, copper, dark brown, spring green, orange, dark purple, cream, red & pink) with either a sheer or satin ribbon. 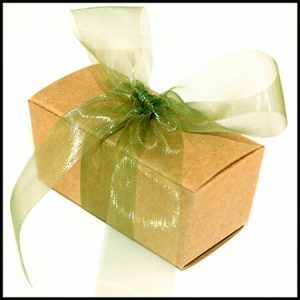 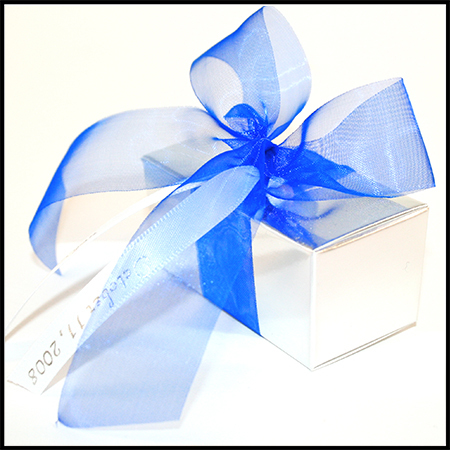 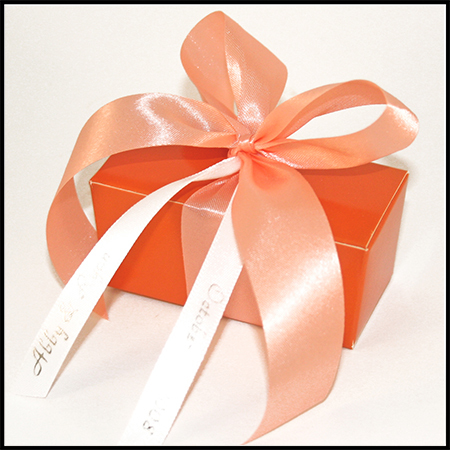 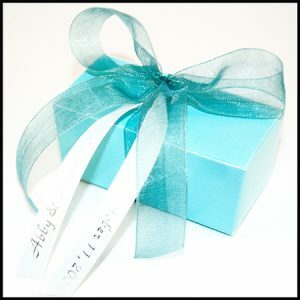 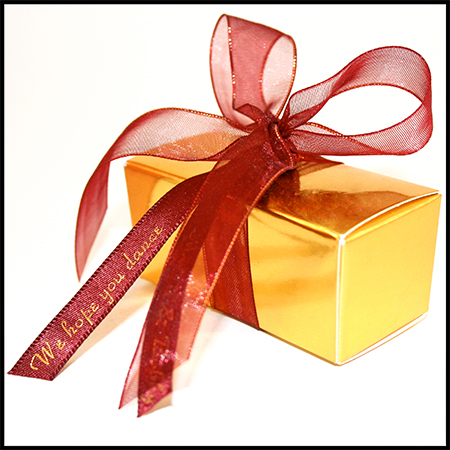 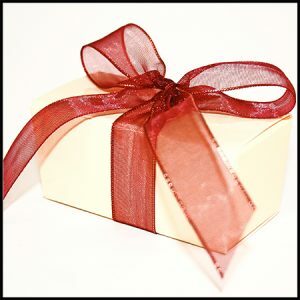 Boxes may also be personalized with an imprinted ribbon (see Imprinted Ribbon). 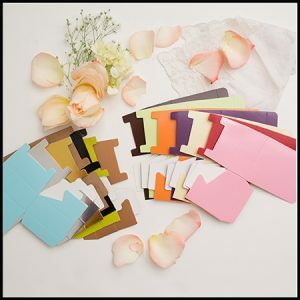 A wedding favor-ite. 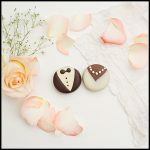 Available filled with All Truffles, 2-Truffles & 2-Traditional Chocolates, or All Traditional Chocolates. Pricing ranges from $5.25-$5.98 depending on what chocolates you choose.